America is in the grips of a mental health crisis. 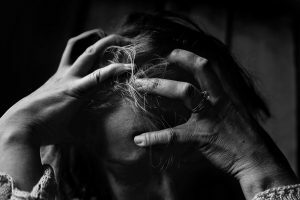 Giving weight to what the experts have known for years, Mental Health America’s latest report provides a snapshot into a very real situation, a situation in which the nation’s mental health is descending to dangerous levels with no easy way out. According to the recent data, more than 43 million US citizens suffer from a mental health condition, and the figure is ever increasing. Nearly half were shown to have a co-occurring substance abuse disorder and some 9.6 million Americans have been found to experience suicidal ideation. Worryingly, more than half of the population with mental health needs have not received treatment – some don’t even have access to the services they need under private insurance. Among our nation’s youth, the situation is even worse; rates of severe youth depression have increased from 5.9 per cent to 8.2 per cent in just five years, while almost 12 per cent of young people have suffered at least one major depressive episode in the last year. Of these, 1.7 million did not receive treatment – that’s enough people to fill every major league baseball stadium on the east coast twice. Earlier this year, the American Health Care Act effectively put an end to the expansion of Medicaid, bringing concerns about the country’s mental health provisions to the fore. The National Alliance on Mental Illness (NAMI) said that the move would see $800 billion cut from Medicaid in the next decade, causing mental health services to be slashed. According to the organization, one in three people covered by Medicaid suffers from a mental health or substance abuse disorder. Approximately 24 million people will lose insurance for mental health services, with the bill giving states the ability to let health plans drop coverage of mental health and substance abuse services. Up to now, lack of access to treatment has been slowly improving – in 2011, 59 per cent of people with a mental health condition could not access the service they needed. Recently, the figure has reduced to just under 56 per cent. The Medicaid development, however, could change this. While individuals with pre-existing conditions will still be covered, they could be charged significantly higher premiums – something that was previously outlawed under the Affordable Care Act. In turn, this could make coverage unaffordable for citizens with mental illness. Currently, just over a fifth of Americans with a disability are unable to see a doctor because of the associated cost and an estimated 47 per cent of adults are not receiving treatment because they cannot afford it. Of those with mental health problems, 43 per cent are either uninsured or covered by public insurance, with Mississippi having the highest prevalence of disabled adults unable to cover the cost of seeing a doctor. Mending a breaking society in a time of such uncertainty is no easy task. Report after report warns that the mental health of our youth in particular is under threat but with the recent expiration of the Children’s Health Insurance Program, there is no assurance of further aid for our young people. Ambivalence to mental health is another issue affecting progress; figures show that one in three people with a mental health condition does not plan on talking to someone about their concerns, while the same number does plan to outline their problems. However, only 17 per cent of people say they will seek treatment. With funding for mental health services likely to be cut drastically, there is an increasing focus on self-help, and for many Americans, this is the first step on the road to recovery. Mental Health America advises careful use of online information, resources and tools as a route for sufferers to address their mental health concerns, also calling for greater investment in preventative and recovery services to provide support and opportunities for individuals with mental health conditions. Don’t suffer in silence – talking about mental health breaks down barriers. 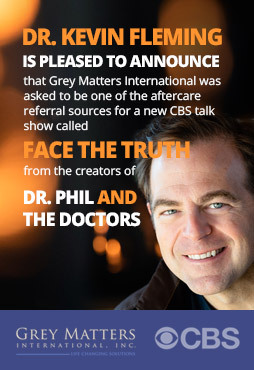 Grey Matters International specializes in mental health counseling programs and substance abuse therapy, get in touch with us today to find out more about beginning your journey to recovery.